I'm finally settling back into the routine of things after vacation, and I have one more guest post to share! This time Jacqui is visiting! Hi everyone, my name is Jacqui. 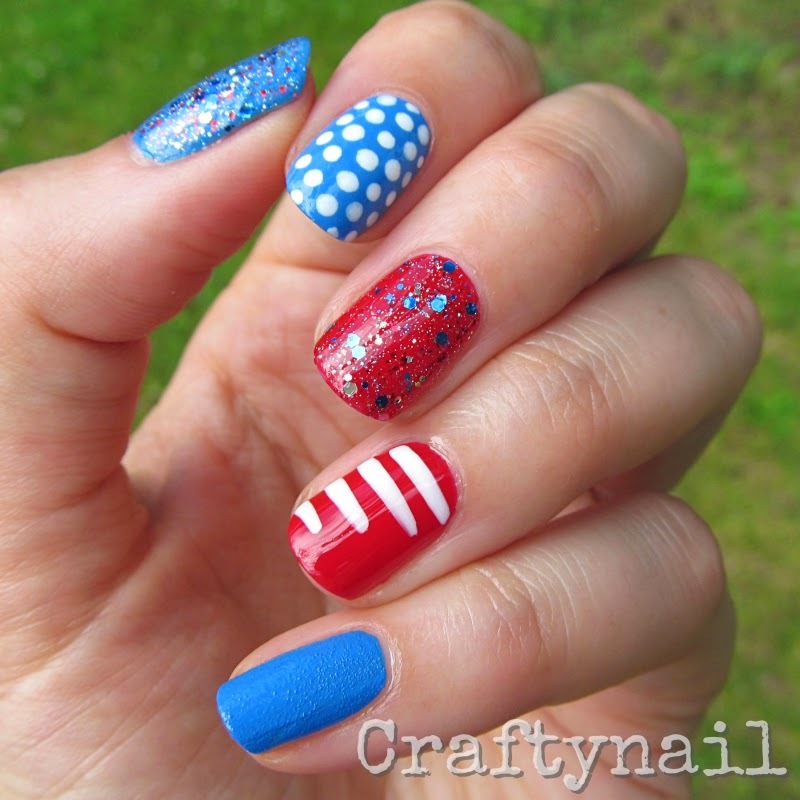 I hail from the beautiful Hudson Valley of New York State and I run a little nail blog called craftynail.com. 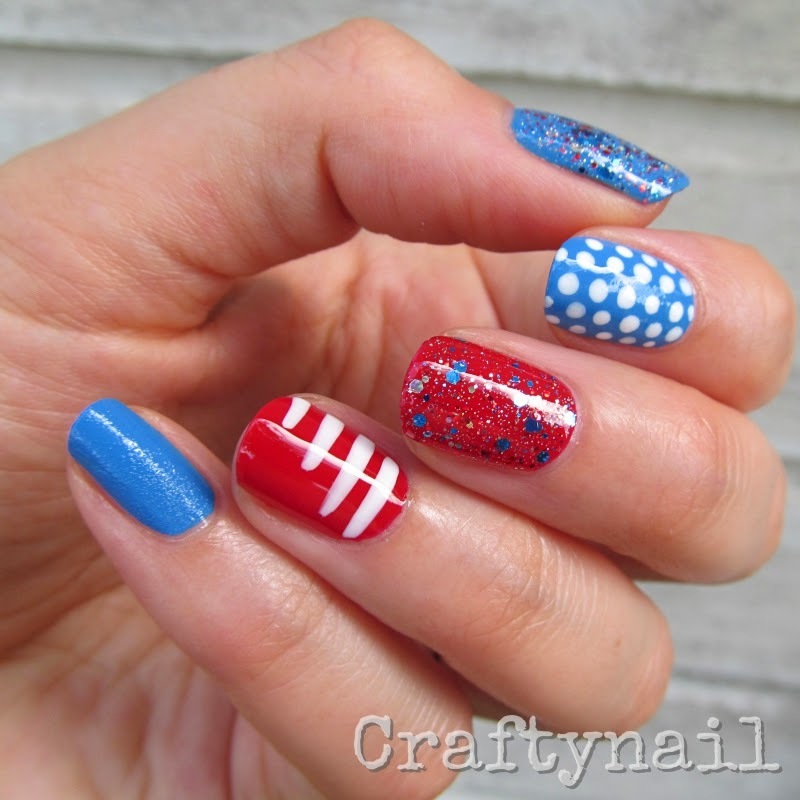 I'm really happy to be guest posting at NailsLikeLace since I'm an avid and loyal reader of Amber's blog. I really like her style since it's kind of adventurous and you never really know what she'll be sporting on those nails of hers! I like a good surprise. I've prepared a fun summer manicure for Amber's readers today! 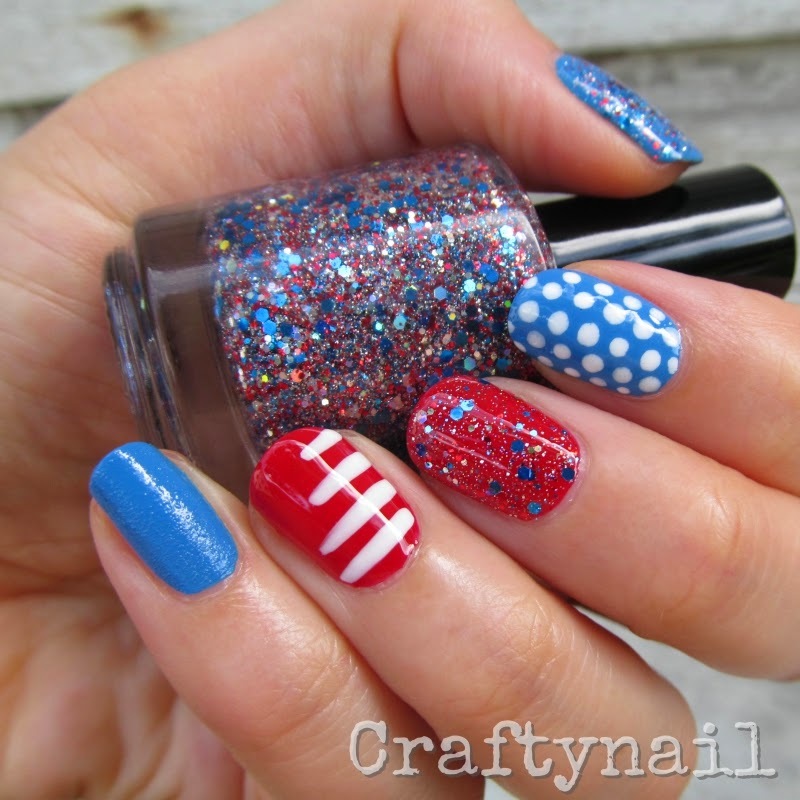 July is my fave month since it's my birthday month, my big OMD2 nail challenge runs for 31 days, and don't forget about BBQs, 4th of July and fireworks too! 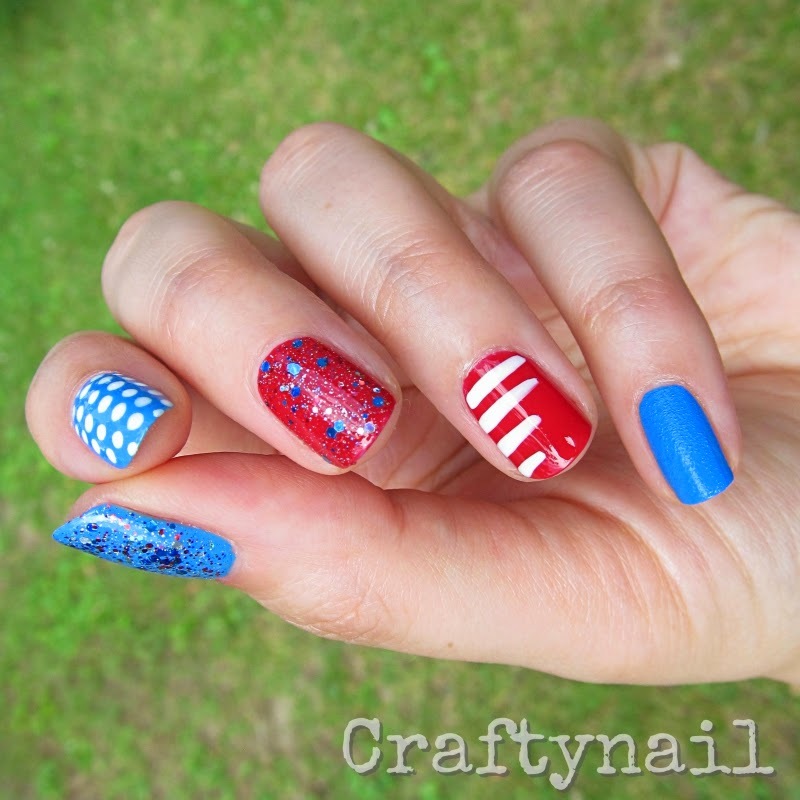 So to celebrate all things JULY I've got a fun Americana skittles mani for you. If you're hungry for nail art you can hop on over to my Craftynail blog this month to see the galleries of daily designs for our Oh Mon Dieu Challenge. I also have a fledgling Instagram account that's just taking flight, I'm such an IG newbie! But I love making new friends so I hope to see you online! You can find me on facebook, pinterest, twitter, tumblr, instagram & bloglovin. I didn't even know Sinful Colors made textured polish until now, how awesome! 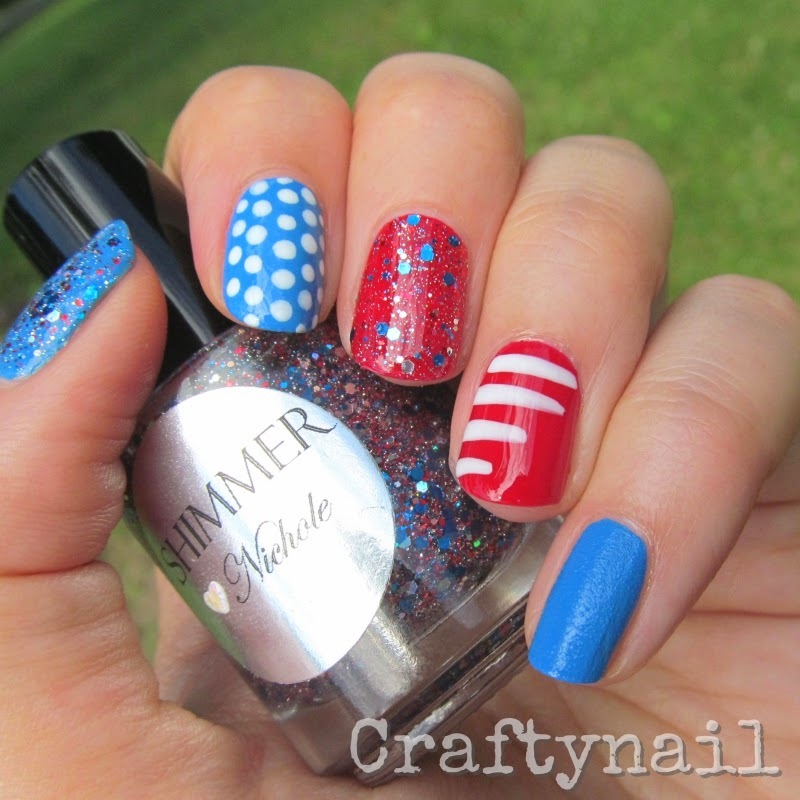 Thank you so much for posting for me, Jacqui, your July mani is beautiful! I'll be back in a couple of days with an older mani I did but never posted, then hopefully I'll have time for some fresh painting!